At around 2,200 kilometers in diameter, Hellas Planitia is the largest visible impact basin in the Solar System, and hosts the lowest elevations on Mars’ surface as well as a variety of landscapes. 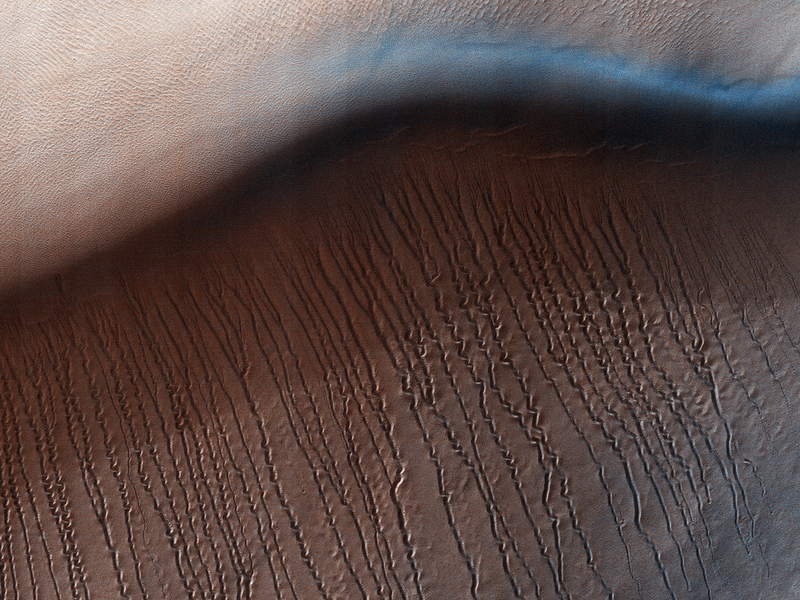 This image covers a small central portion of the basin and shows a dune field with lots of dust devil trails. 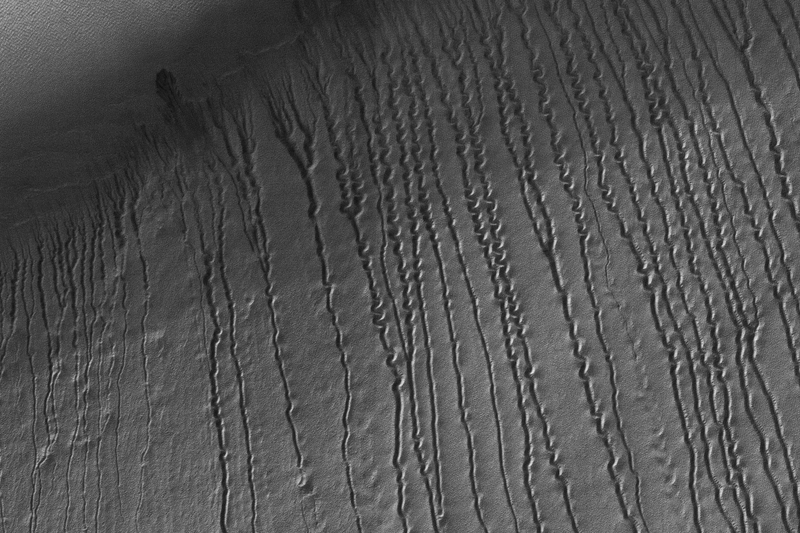 In the middle, we see what appears to be long and straight “scratch marks” running down the southeast (bottom-right) facing dune slopes. 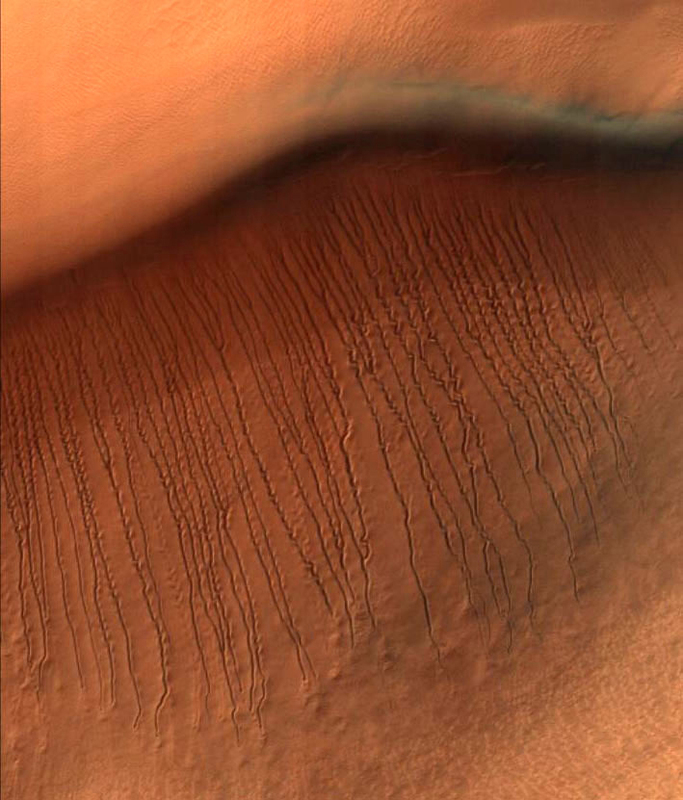 If we look closer, we can see these scratch marks actually squiggle back and forth on their way down the dune. These scratch marks are linear gullies. Just like on Earth, high-latitude regions on Mars are covered with frost in the winter. 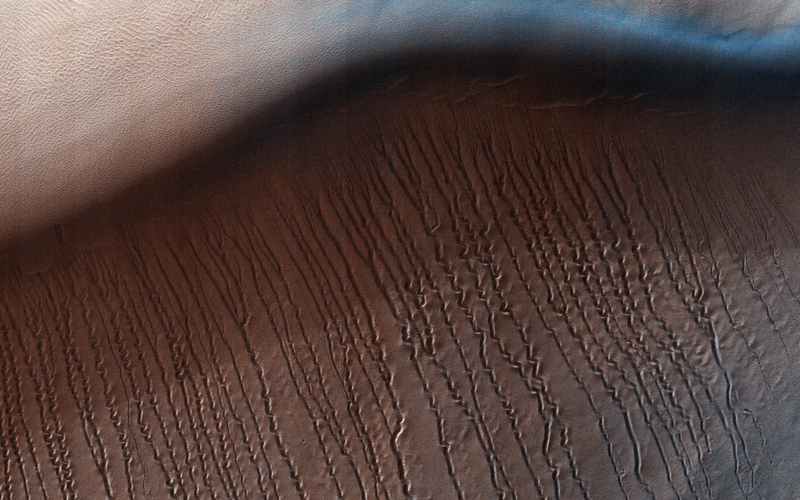 However, the winter frost on Mars is made of carbon dioxide ice (dry ice) instead of water ice. We believe linear gullies are the result of this dry ice breaking apart into blocks, which then slide or roll down warmer sandy slopes, sublimating and carving as they go. 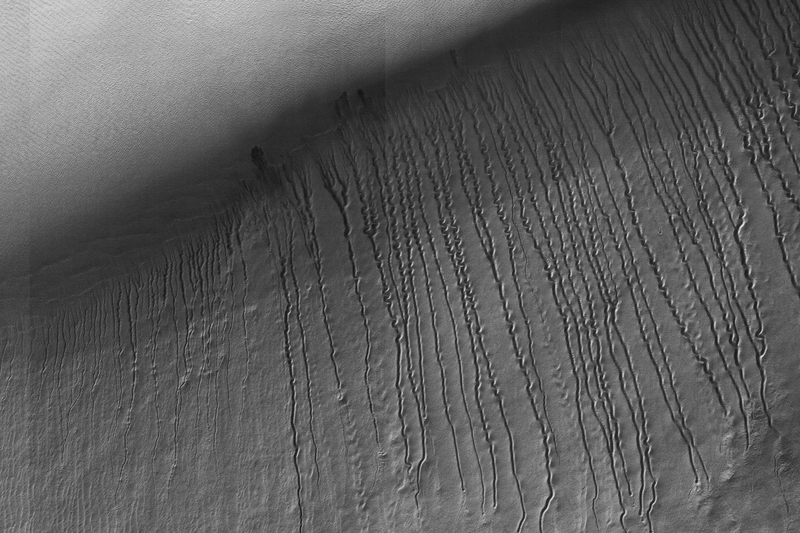 The linear gullies exhibit exceptional sinuosity (the squiggle pattern) and we believe this to be the result of repeated movement of dry ice blocks in the same path, possibly in combination with different hardness or flow resistance of the sand within the dune slopes. Determining the specific process that causes the formation and evolution of sinuosity in linear gullies is a question scientists are still trying to answer. What do you think causes the squiggles? This is a stereo pair with ESP_051836_1345.